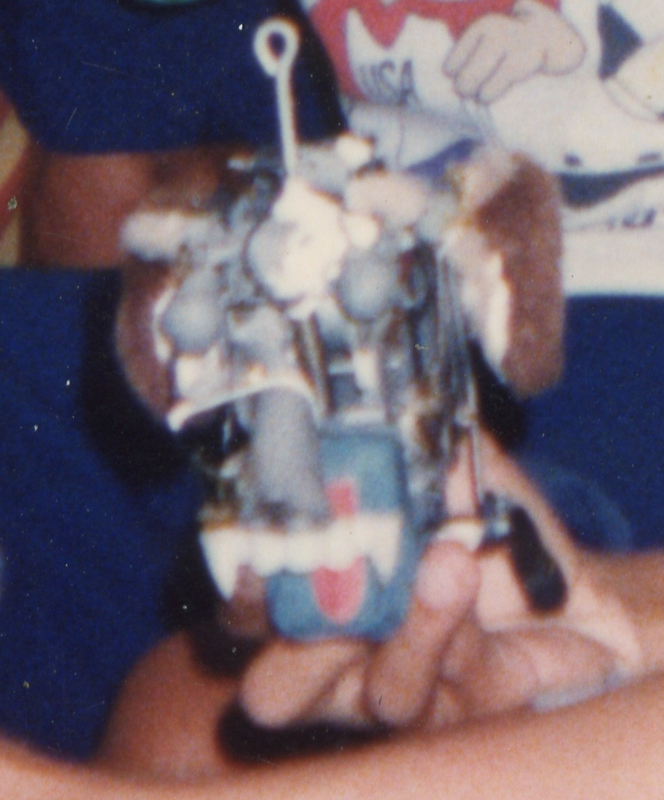 I've been scanning lots of pictures of my childhood and this is one of the rare pictures in which a robot I built is displayed. 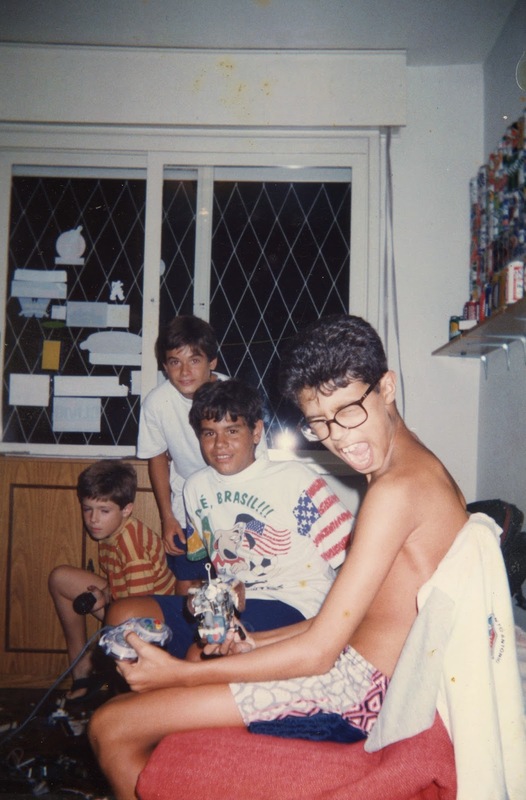 During my childhood I used to have boxes of parts in my room and spent most of my days building these robots. I made all kinds of things. This is a face. You can see the eyes and nose made of epoxy, the rest is made of a mix of parts taken from whatever mechanical device I could put my hands on. All toys would last just long enough for me to convince my mom it would be OK for me to disassemble it haha. I don't now what this was. Probably a mix of a human, a vampire and a stuffed dog. At this stage there was no face cover, but at the end it had a green skin and all parts moved. I wish more of these had been captured. I found one more picture which depicts a remote controlled hover with a metal detector, I'll post it sometime soon.